YouTube is a platform considered for the budding artists. It gives them a space to showcase their talent. But recently, all the YouTubers have taken a back seat as the YouTube has implemented new guideline from February 20, 2018. The new partner program says that a channel/creator must meet a set of guidelines in order to monetize videos. Effective immediately, to apply for monetization (and have ads attached to videos), creators must have tallied 4,000 hours of overall watch time on their channel within the past 12 months and have at least 1,000 subscribers. New channels will need to apply. And their application will be evaluated when they hit these milestones. Though the channels and the creators are searching for YouTube money alternatives, this decision is going to hamper the future of many channels. They are already in search of various YouTube income alternatives now. Previously, the standard for joining YouTube’s Partner Program was 10,000 public views. This was without any specific requirement for annual viewing hours. This harsh change is going to put a lot of pressure on the new creators. It is going to be harder for the small channels to reach up to the scale of monetization. As per YouTube, this new threshold will allow them to significantly improve its ability to identify creators who contribute positively to the community and help drive more ad revenue to them (and away from bad actors). These higher standards will also help them prevent potentially inappropriate videos from monetizing which can hurt revenue for everyone. Who is going to get affected? A larger level of younger community is going to get hampered because of this new rule. Especially, the teenagers who were able to earn some extra income by showcasing their talent, they are not happy with this situation. YouTube is a survival platform for the budding standup comedians. Now those who don’t have the applicable subscriptions and viewed hours won’t be earning that extra penny. The change will result in competition among creators applying for monetization. The rules are designed to restrict the number of those eligible for advertising on their channel. For those who post four or five videos a week, accruing that much channel view time and subscribers shouldn’t be too difficult, based on the company’s findings. After the news came in many YouTubers expressed their disgust on this decision by posting videos on digital platforms. But don’t be sad about it and stop bashing Google in multiple forums. Here are 11 YouTube money alternatives that will not hamper the talent of the budding YouTubers. This platform is an all-in-one video marketing platform for those looking to market their videos. It helps in reaching all the audiences where they are, including social platforms, and maximizes impact with marketing automation. Below are some of their customers of Brightcove. 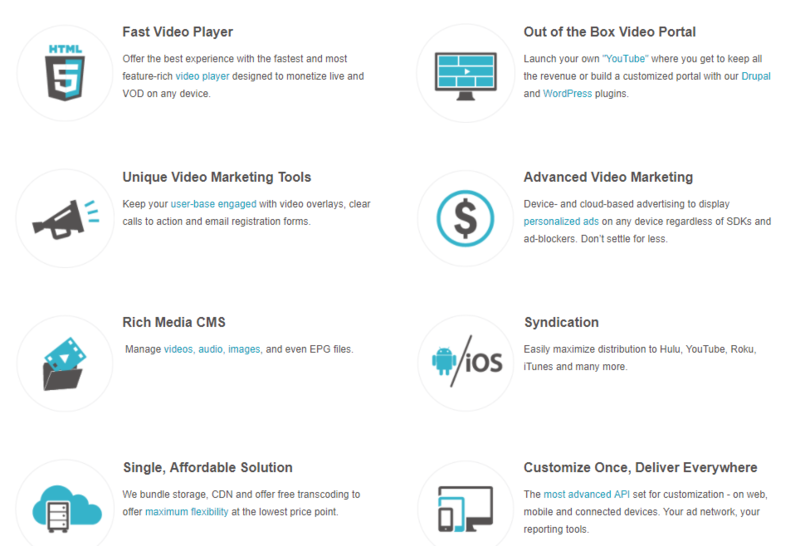 Brightcove offers an array of eight products that include Video Cloud, Video Marketing Suite, Enterprise Video Suite, Player, Live, SSI, OTT Flow, and Zencoder. 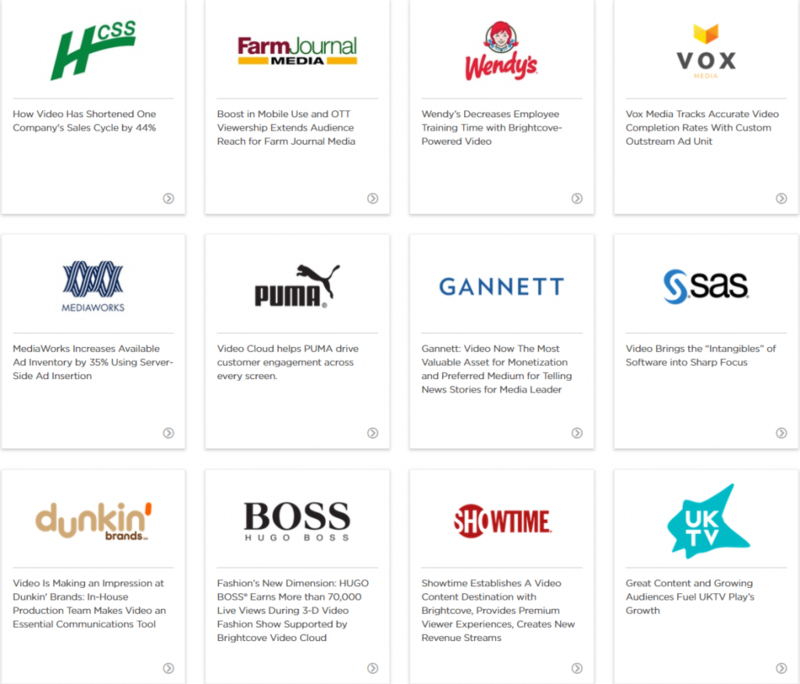 It also provides a solution to publishers and broadcasters, marketers and enterprises. It has built-in analytics to report the activity your videos generate. Live streaming is also supported. Wochit is a video creation platform empowering newsrooms, editorial teams, and social media editors to capture and expand audience attention through the power of video. This makes video accessible for all businesses to produce and share at scale across all social and digital platforms. With this platform, videos can be created quickly. You can use pre-negotiated, rights-cleared assets from AP, Reuters, Getty, and many more sources. It has a real-time media gallery that enables the user to stay in touch with the updated stuff. You can customize every graphic element, including intro and outro, fonts, colors, effects, and overlays. You can choose to apply the branding in post-production automatically. This ensures that the brand is always clear and your videos are always identifiable. One can combine various videos and snippets into one storyboard and use their own voiceover. It makes the whole process of video creation quick and affordable. Liverail, that has been acquired by Facebook in 2014, offers a comprehensive platform for online video publishers that help them find and serve the best ads possible. This platform also helps marketers by providing them with access to premium video inventory and the information that they need in order to decide where to show their ads. What this ultimately offers is a complete advertising solution for video publishers. Publishers are fond of it as it enables them to manage and optimize mobile and desktop demand sources. This includes including direct advertiser relationships and third-party demand sources, all in one place. Kaltura’s fast Business Monetization Suite provides an intelligent approach to monetizing the content to leveraging business intelligence, packaging the content and delivering to the end user in the most effective way. Different business modules can be chosen to meet the specific goals. The modules comprise of combinations like ad-based, subscription-based, transaction-based and distribution. The platform provides unique video marketing tools that make the viewing experience more engaging with an interactive player. With a searchable chapters menu, easily break down a video into multiple chapters, giving each chapter its own thumbnail and searchable title, description, and tags. Viewers can then easily browse through chapters, search for keywords and jump to specific areas in the video where the terms are present. Kaltura’s players can include social sharing tools within the player itself. If enabled, viewers can share videos on Facebook, Twitter, Google+, and over 50 other social networks, sites, and blogs. Facebook offers video creators 55% of ad revenue in their pilot program. As of July 2015, they were working with selected partners in the program. Yet, to attract more video publishers to the network, this program will have to expand. When this happens, it gives video publishers a monetization platform with generous revenue sharing. Now Facebook has also announced new creator that offers exclusive tools for creating and promoting streaming videos. Facebook also has a new section of its desktop website, called Facebook for Creators, where video makers can get tips to improve their video-making skills and better connect with viewers by using Facebook’s features. All you have to do is create your profile and page, make a plan and finally create a video and share it! The Facebook provides all the guidelines to make your content largely viewable. Whether you’re looking to monetize your own videos or are simply interested in distributing premium third-party content, Dailymotion‘s monetization offerings make it easy to earn revenue from a variety of streams. The creator will be able to understand the audience and revenue data with its suite of advanced analytics tools. With its Media Manager, you get one intuitive system for searching, filtering, and managing all the content. Its unified design makes it easy to upload and edit videos and fully manage live streams including ad breaks and clip creation. 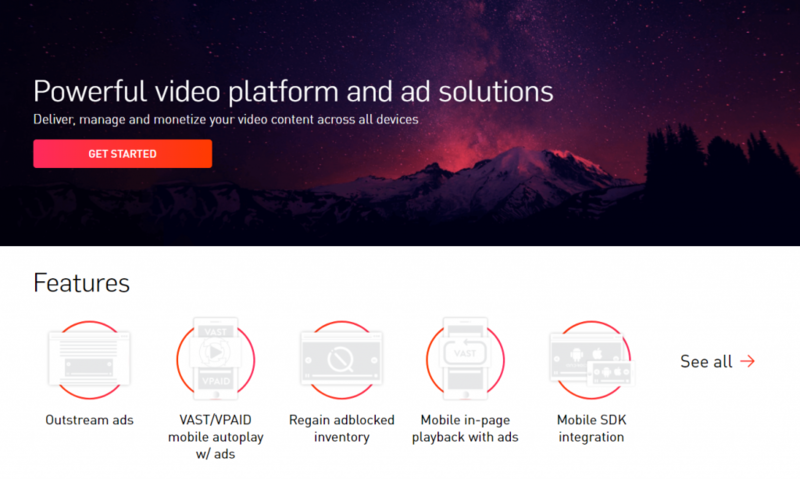 Brid.tv is a cross-device online video player platform that allows small and large businesses to host, encode and monetize videos anyhow they see fit. The platform offers free ad support and offers a proprietary ADIQ solution to regain inventory lost due to ad blockers. The platform offers a pretty solid start on your website. It will give you a great opportunity to earn out of video content as quickly and easily as possible. After the approval, Brid monetizes 100% of your ad inventory and shares revenue with you on a 60-40% basis. Big Frame is the only full-service talent management and influencer marketing company of its kind. Widely recognized as the premier representation company for digital-first creators, Big Frame advises its clients in all aspects of media and entertainment; from content licensing, film, TV, touring, book publishing and consumer products to endorsements and content integrations with the visionary brands that partner with them. As a creator of the network, one will have access to exclusive tools and perks only available to its networkers. This includes the Creator Dashboard, through which one can monitor his or her earnings and analytics. Also, it connects with the rest of the ATV community via an open forum. BigFrame will supposedly give a 40% income boost when compared to AdSense monetization. This is a multichannel network that has standard features and has a large audio database, AudioMicro, which denotes a large database of completely free music to utilize for your videos. It offers a lot of tools for video optimization and promotion. It claims to maximize the revenue, protect and monitor the content on YouTube, Facebook and beyond. Their specialty is presenting short-form videos for digital platform that features the brand alongside the world’s most memorable characters, stories, and social media influencers. These guys keep their doors open to a wider range of content. There are following subdivisions: Men, Women, Family, and Entertainment. Should you fit into any of these categories, then you’re all set. Maker Studios (acquired by Disney) has some of the highest CPM ads in the business. Low-traffic channels get something around 60% revenue, while a majority of popular channels receive a 90% take. 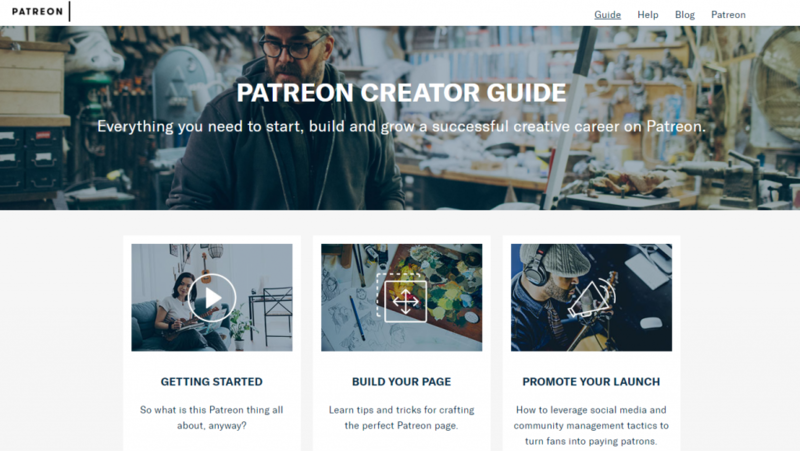 Patreon allows writers, visual artists, gaming creators, artists, animators, photographers, science creators, education creators, crafters, dancers and actors and all other creators to get paid by running a membership business for the fans. The revenue system of this platform is really sensible. The fans pay the subscription of their choice in exchange for exclusive experiences. They give 90% of the total revenue is to the creator out of which they only keep 5%. There are no contracts to sign and one retain 100% ownership of the work. Getting started with Patreon is simple to understand and one can easily go ahead with it. Even though the YouTube has strengthened its set of rules and regulation, it is not the only platform for the creators. There are other platforms as well that offers monetization. Since some of these channels are paid but it is a wise alternative to YouTube. And there is no chance of any infringement. These platforms will provide a guided set up for your content. Your work will be visible to millions in a better way!